It’s not often that American audiences have the ability to view an artistic work simmering with such discontent and restless revolution from a country like China, and that’s part of what makes “Free and Easy” so special. The film, a tragicomedy from writer / director Jun Geng, explores universal social themes of corruption, desperation, and finding friendship in the most unlikely of places. 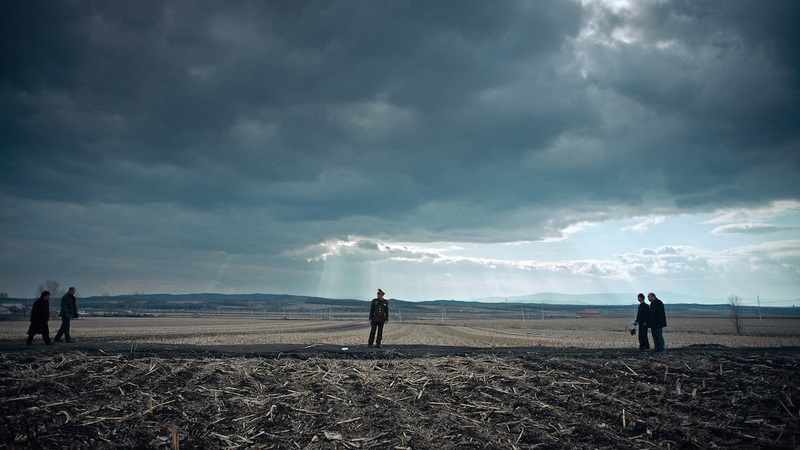 The film takes place in the post-Socialist landscape of Northern China, set in a bleak, nearly abandoned old mining town. When a traveling soap salesman (Zhang Ziyong) arrives in a desolate Chinese town, he encounters many of the locals — with the sole intention of knocking them out and robbing them. When the con man meets the town monk (Xu Gang), the two form an improbable yet mutually beneficial partnership. Outrageous events occur and have a snowball effect on the residents, from an attempted sexual assault to a surprise death to petty robbery and other criminal acts. In fact, just about everyone in town is a grifter in some way, from the town holy man to a little old lady trying to sell her “gold bracelets” to passerby. This is an absurdist, offbeat, and at times painfully satirical look at how hardship and humiliation brings us together. The film has a graceful, lyrical vision with a decidedly Wes Anderson quality, especially when it comes to the director’s framing choices. The decrepit mining town sets that stage and static backdrop while the action happens in and around it. The town’s scarce inhabitants are introduced one by one, all with deliberate physical movements and a gradual, slow pacing that beautifully plays off the script’s existential qualities. One of the most striking visual set pieces is a quiet scene where two men are simultaneously hanging “Missing” posters together. One (Gu Benbin) is seeking his long lost mother while the other (Xue Baohe) is seeking a missing tree. Director Geng also has a bit of fun with some clever lighting (in particular a scene where a man is talking to another while sitting on a toilet with a divine glow) gives the film an unconventional, quirky feel. One of the most enjoyable scenes is a not-so-subtle commentary on religion and criminality when a con-man goes head-to-head with a scheming monk attempting to raise money for his “burned temple.” And there are lots of scenes of communal noodle slurping. Lots and lots of noodle slurping. The film’s final minutes are packed with the notion that as the world crumbles around us, all we can really do to find any peace or refuge in our restlessness is to scream, vent, and let it all out. It’s the perfect companion piece to our own country’s current political climate and the challenges that lie ahead. There’s a striking ending where we, the observers, eventually become the victims. In the end, corruption rules and symbolically kills us all — and all over a little bar of green soap.